So, I haven’t written for a whole year now. Work caught up with me, I’ve moved house twice because of it, and ongoing issues have made it so writing high quality articles is not at the forefront of my mind. I haven’t even managed to update the Meta Post, which is unfortunate. It’s rare that I even get the chance to write anything nowadays, but when I think there are topics worth writing about, then it’s worth spending some time doing so. One of those topics is the metrics by which we measure a card’s worth. While I don’t write often, and it’s becoming harder and harder to schedule the set reviews (we’re two sets behind, yes, I know), I still talk a lot about the game. A recent discussion about card advantage knocked some sense into me, and really enforced something for me. Card advantage is extremely different in Weiss Schwarz. Because a lot of my background is in Magic, my basis for card advantage comes from there as well. You may have already picked this up in my first article on card advantage (wow, it was a long time ago, huh). The idea in MtG is that card advantage is a dynamic scale between you and your opponent, where any disparity is regarded as a ‘plus’. Drawing two cards with Divination means you have gotten two cards out of one, and therefore you have gone +1. This is still usable within the context of WS, but there is another facet of this system that does not really work here. 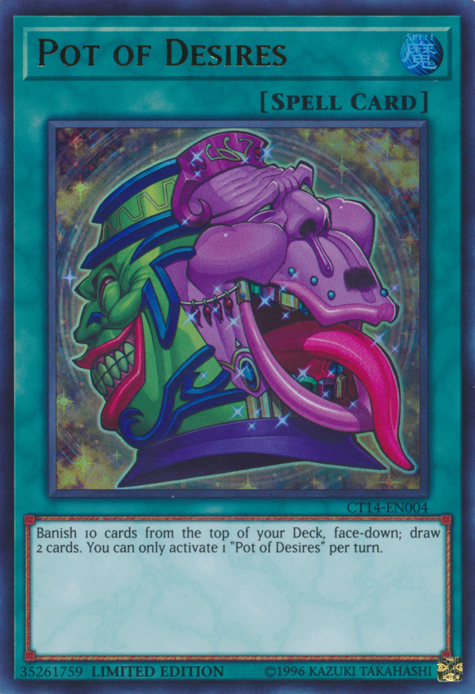 Depleting the opponent of a card also results in you being ‘up’ one card – cards such as Mind Rot and Hymn to Tourach, which do not actually give you additional resources, are regarded as a +1, because you lose 1 card to make them lose 2 two. Now, this is not a metric we can use for modern WS. It was applicable in the WS games of 2012 and prior, because the powerful advantage engines of today simply did not exist. Depleting the opponent of playable cards was a very possible, and slowly strangling the opponent out of the game with big walls was not only viable, but also a dominant strategy. This can be seen with decks such as old Angel Beats, which would always have higher quality beaters than the opponent. Because the advantage systems in modern decks are so good, we can no longer do that with any reliability, and as a result, we should not be counting card advantage with the opponent in mind anymore. As bad as that may sound, I’m not actually saying Weiss is a solitaire game. In fact, the constant shifting of pieces on the board is a more intricate tango than people give it credit for. However, when it comes to evaluating your card quantities, we shouldn’t bother thinking about the opponent’s cards. It’s much, much easier to just assume your whole board will be wiped every turn, and to take any surviving characters as ‘plusses’ for your card count. The reasoning for this is simple – it is the reality of the game. All decks either trade fields every turn, or specifically aim to prevent this field trade. Some decks even try to do both, and the only decks that fall outside this paradigm are the ones that aggressively generate so much advantage that they don’t care. This is the way card advantage works in this game. Why can’t we just evaluate with the normal two-player dynamic, then? The simple reason is that WS is an extremely different game. Not only can players quickly refill their hands with powerful climax combos, bond mechanics and (most of all) brainstorms, but there simply aren’t very many ways to get rid of your opponent’s cards. Your opponent gets to dictate what to commit and where, and there really aren’t many places to commit cards. You will almost never get rid of multiple cards with a single card of yours, which is the goal of a card such as Wrath of God in Magic, or Raigeki in Yugioh. Weiss is a game where each player chooses what to commit beforehand, and as such it is very difficult to get rid of a savvy player’s cards. Additionally, we only have a theoretical optimal play pattern of 3 attacks per turn (with the option of committing a climax to improve your attacks), so you have a very clear goal to aim for when it comes to maintaining cards in hand. This results in players only needing a couple of extra cards per turn to maintain an ‘optimal’ play pattern, with much of your focus going to hand-sculpting rather than advantage, which is where WS differs greatly from other games. So, assuming you accept (or at least understand) this system, how does that change our card evaluation? Well, simply put, we ignore the opponent. To make this difference clearer, I’ll illustrate it with an example. Let’s talk about encore and counters. You lose a character in combat, but the character has encore. You discard a character card to keep your character on the field. What’s the card advantage here? This one is pretty simple, I feel. If you lose a card and nothing else about the field has changed, you have gone -1. Disregard potential stock benefits or filtering benefits; in terms of raw card advantage, you have lost a card. Encoring with a hand card is the same as letting a card die in terms of card advantage. Now, let’s look at another example. You have a 6000 power character being attacked by a 7000 power character. You use a 1500 counter to save it. What’s the card advantage here? By the systems of Magic (and Yugioh, and Vanguard, and probably like thirty other games), using a counter to save your character and defeat one of theirs would be a one-for-one, or more pointedly, you are going +0. You are using one card to remove one of your opponent’s. This is comparable to using an instant such as Giant Growth to kill one of the opponent’s creatures or make a removal spell like Lightning Bolt ineffective. In reality, there are a lot of other assumptions that need to be made for this to be wholly true in Weiss, but run with it for a sec. This should be a -1. If we take that principle I mentioned above – that the opponent’s cards are irrelevant – then the only thing that has changed about your card situation is that you have lost a card. Ignore that you’ve opened a slot and get extra soul (and possibly increased the value of a random 0 in your hand), that’s a discussion for later on. In terms of pure card counts, you have lost a card to keep a card alive. This is a -1, the same as usage of hand encore. “But hang on”, you say. “Countering is way better than Encoring!” You’re right. It is a lot better, but the reason it’s better has nothing to do with card advantage, which is becoming a less and less useful term. Advantage implies you are competing with somebody else, which is why it’s part of the term in Magic, Yugioh and the like. If you win in card advantage, in the vast majority of situations, you win the game. You simply have more resources. However, as we’ve established, the opponent is not relevant when it comes to cards in WS. We have brainstorms, we have costless plussing combos, and we have other powerful solitaire advantage engines that push the game’s card mechanics further from Magic, and closer to Pokemon. So, if cards aren’t the important thing, why is countering better than encoring at all? Well, it’s part of tempo, which is a word that needs its own article, but for now, I want to introduce the dual economies of WS: Card economy and damage economy. I am aware Yugioh uses the terms ‘card economy’ and ‘card advantage’ almost interchangeably, but I think the distinction is not only more marked here, but significantly more important. The word economy refers to the management of resources, and more importantly, it does not necessitate multiple participants. It does not exclude others from being involved, of course, but it suits our needs much better than ‘card advantage’, because at this point, card management in WS can be contained to our deck alone. We do not need our opponent to lose field for us to sustain attacks throughout a game (it helps, of course). We do not need to get a huge advantage on the opponent in order to come out on top (it helps, of course). We can let our opponent draw to a full handsize and keep it all through the game, and still handily win. To put it in oversimplified terms, all we need out of our cards is to sustain three profitable attacks a turn. There are plenty of other things to juggle, but basically, all we need is to hit a critical mass of advantage in order to keep the momentum going. The opponent is not relevant to our card management when talking about competitive Weiss Schwarz decks piloted by competent players. That’s where the other economy comes into play – damage economy. Damage economy is a weird term. In short, it’s your ability to manage the ever-flowing resource of damage, and therefore your ability to get ahead in the ‘damage race’. Of course, this is contrasted by the need to maintain card economy, which is why you cannot simply slam with three characters and a climax every turn – you will run out of cards, and therefore you will be losing out in the damage economy in the long run. In this way, the card and damage economies not only balance out with each other, but also support each other in helping decide exactly how much you can commit to any given play. It is important to note that neither is more important than the other on the whole – they are both supremely important at all points in the game, because WS is a game about making strong large-scale plays, which both damage and card economies contribute to greatly. Of course, you can make the argument that damage economy is far more important lategame, and that card economy is far more important in the early game, but they both play a role at every point. Winning with 7 cards in your hand is almost always different from winning with 0, no matter what people might tell you. Right now, Weiss Schwarz is a far faster game than it has been in the past. The most popular strategies all slam climaxes at Level 1 because climax combos that recoup your cards are present in basically every deck. If you are unable to match these decks, they will beat you, and that means you need to play climaxes of your own, or catch up in a different way. Failing to do so means you are relying on rather unlucky occurrences – chained cancels over multiple turns, or for your opponent to just eat 10 damage. To put it more broadly, the better your damage economy, the less luck you need to win. We all need to be lucky to win, but if you can drive the necessary luck down a bit, that’s going to make your win ratios look much better. Damage economy is a big part of why countering is largely better than encoring. It gives you the option of modulating soul counts, simply because you get a direct attack. You will likely be able to hit for 2 soul without a trigger, or even sneak a 3 soul attack in with a climax. Basically, if you were going to lose a card anyway, losing a card and gaining the option of direct attacking helps out with your damage economy. There are exceptions to this, of course. Since over 99% of Weiss Schwarz games end with someone at Level 4, pushing your opponent closer to Level 4 as much as you can is the optimal strategy for damage economy. The more savvy readers might have already figured out the need for that specific wording. It’s not as simple as slamming a 2 soul and going nuts – while this might be the case when the opponent is on their first deck (and uncompressed), the value of soul (and therefore climaxes) varies greatly. Adding soul to all of your characters is fantastic on turn 3 or 4. However, it is not so good when the opponent has refreshed. To make it even more clear, if an opponent is very compressed, pushing the opponent as close to Level 4 as possible will not involve adding soul to everything, and will often involve dealing 1s and 2s. It’s for this reason that you cannot pin down figures to damage economy like you can with card economy, and it’s for this reason that damage economy is a weird, indistinct term. It might just be better to give examples and how they fit into damage and card economy. You trifield three Level 0s going second, then play a global soul climax. Damage economy: The immediate impact on your damage economy is positive. You will, on average, get a lot of damage into an uncompressed deck. However, if your opponent proceeds to trifield and wipe you in return without playing a climax, there is a high chance you will be stuck at Level 0 with few playables. If your losses are particularly severe, you will be unable to maintain a trifield going forward, which is a remarkably severe loss to damage economy. Card economy: You lose the climax, but any surviving characters can be counted as plusses. This climax also has opportunity cost tied to it, because it could have been used for an advantage combo at Level 1, or at least clocked. Worst case scenario, you lose all your characters and are effectively -4, which is extremely difficult to recover from. You should not be trifielding until you can either sustain some characters on the field, or can plus enough to take the likely -3 without issue. Overall: The worst case scenario (and the regular case scenario) comes with an eventual damage economy loss due to card economy loss. The best case scenario is fairly good for both card and damage economies, but requires an inordinate amount of bad luck/bad deckbuilding on the opponent’s side. This may be worth doing if the amount of damage likely to be dealt is particularly high, or if these Level 0s are able to replace themselves. Your opponent has resolved their climax combo against you and are sitting at 1.0. You are at 1.4 and clock for your Level 1 combo’s global soul climax. Damage economy: You take one damage, so it’s evidently negative at the surface level. However, if you find the climax (or any climax, really), your damage potential goes up a lot. The difference between playing a climax here and not playing one can be catastrophic, as it will completely forfeit initiative in this game to the opponent. Even if they don’t cancel, they will be playing from ahead, and you will need to cancel several times more to even catch up. If you find a climax, you may be able to shift the damage economy to a more even position. Your opponent will need to cancel twice to get that sort of advantage. Card economy: Positive, because you’re clocking. Potentially extremely positive if you find the climax. Overall: A very worthwhile play, because one damage is a fine trade for a chance at maintaining parity. It is positive for your card advantage either way. You clock at 2.4, searching for your finisher’s climax. Damage economy: In the immediate sense, this is obviously negative. At the very, very least, you have dealt yourself one extra damage, which can push you into danger range if you are uncompressed. Now, where this gets interesting is when you find the climax. Assuming the game proceeds as per normal, you will actually gain a damage advantage if you can deal enough extra attacks with your finishers to make up for the one clock damage. Additionally, if your finisher is so strong that playing it will likely win the game (especially if your finisher heals), clocking yourself closer to Level 3 is also an investment into future damage economy. Card economy: Positive simply because you clocked, turning one card into two. Overall: This is clearly a gamble. While the winning scenario is quite good, the likely scenario is you fail to find anything. You will have traded damage economy for card economy, but you are at a point where that may not be a favourable trade anymore. Your finisher needs to be bonkers (and you should preferably have multiple copies of it) before you consider doing this, even with a compressed deck. You play the Standby climax that combos with Giga Zeppelin Chris, summoning and standing Fierce Maiden Chris at the cost of one clock. Damage economy: In the immediate sense, this is obviously negative, since you’re taking one extra damage, and it comes at the opportunity cost of not playing a global soul climax. However, you are doing this in order to play a 2-soul beater which likely will not die for several turns, and would not normally have been summoned for about 1.5 turns on average, counting the current one. In that sense, you clocked yourself for a 2-soul beater AND will get a direct attack every turn for most of the game in exchange. While most standby climaxes will summon a delayed beater (and oftentimes a 1-soul beater), this combo pays a bit more upfront in order to try and catch up over the next few turns. Card economy: Likely positive, unless the opponent has some way of removing the 2/2. Overall: A fine play at parity. It requires time to recoup the advantage gained, so the more turns you can get out of the 2/2’s field benefit, the better. If you are behind, however, you may not have the time to recoup your damage economy. You are at Level 2, and play down two copies of Kotori, Master of the Barrier and her accompanying climax. Your opponent is playing Index, and does not appear to have antichange options or wind triggers. Damage economy: Not only does Kotori heal and immediately give you a quick leg-up in damage advantage, the -2 soul effect from the climax and the climax play itself skew damage economy in your favour. Your opponent will almost certainly lose two rows in combat, giving you open rows to work with. This may not necessarily be advantageous if they are compressed, but it is ultimately a positive in damage economy. Card economy: Positive. Despite using up some resources to play Kotori, she is almost guaranteed to survive, as Index has no way to remove her barring odd tech cards. Overall: An excellent play on all fronts, barring a severely compressed Index deck. Even in that instance, Index does not have explosive finishers or good midgame presence, so this would be a very favoured match if you can manage this. You are at Level 2, and play down two copies of Kotori, Master of the Barrier and her accompanying climax. Your opponent is playing a Saekano list with Eriri Level 1 combo, and are at Level 2. Their game is going smoothly. Damage economy: You will gain an immediate advantage in damage economy due to the heal, and an even more significant one if Kotoris survive. The issue is what happens when the opponent uses an antichange counter, whereby you lose an attack and a lane for -2 soul. This also opens up a lane for the opponent unless you commit further resources. Card economy: Extremely likely to be negative. Kotori does not cantrip, and nor do any of the other Level 2 options for Rewrite. Saekano is very easily able to either remove Kotori (with one of several antichange bombs/counters), and failing that, they may be able to bounce her with a lucky trigger. Overall: The same high ceiling remains on this play, but it is inadvisable if you suspect your opponent has prepared for it. The card economy loss is quite significant, especially to a deck like Rewrite. You will still gain at least partially damage economy advantage, but the investment is extremely risky compared to something like Level 3 Shizuru. In a matchup like this, I would advise conserving resources and going for a Shizuru top end. You are playing To Love-Ru and your opponent has multiple early plays that you can’t deal with in battle. You play Wormhole. Damage economy: This is a high value play when it comes to damage economy. Unless the opponent has a lot of resources, is at 2.0 or thereabouts, AND their early plays are easy-to-replay healers, this turns a very poor situation into a favourable one. While you would have almost certainly lost damage economy, now you not only ‘play a climax’ by giving two lanes direct attaacks, but leave characters on-board to sponge what would have been direct attacks from your opponent. Card economy: You lose out here. You can argue that you gained value by giving chump attackers extra soul, but that’s not relevant. You lost a card, as the event did not actually replace itself. Overall: This is a play purely for damage economy. It is a strict loss on card economy, but at this point in the game, that sacrifice is worth it for decks like To Love-Ru. Honestly, these concepts are hard for me to fully wrap my head around. There are many deficiencies in the examples I’ve listed, and they are therefore just entry-level situations to an evaluation system that is both complex and arguably necessary. We simply cannot continue applying standard card advantage descriptors. It is an actual injustice to describe cards like Katsuhira and Megumin as ‘plusses’, because they do no such thing in the context of this game. Sometimes you really do have to step outside the boundaries of what might seem ‘normal’. My own mindset was a product of the presumption that Magic: the Gathering was the prototypical card game, with systems that extend to any game that involves drawing cards. That was a short-sighted mindset, and one I have attempted to rectify immediately. Don’t think you’ve seen the last of these economies. I plan to start using them going forward with set reviews, because I think this is how we should be evaluating cards. A broader, more comprehensive basis for evaluation is necessary, and I will be trying to work this into both a new rating system and my day-to-day consideration of cards and decks. This entry was posted in Ramblings, srs, Strategy. Bookmark the permalink. ….you’re asking for a war aren’t you?